Looking for somewhere to bring your family to for an awesome vacation? 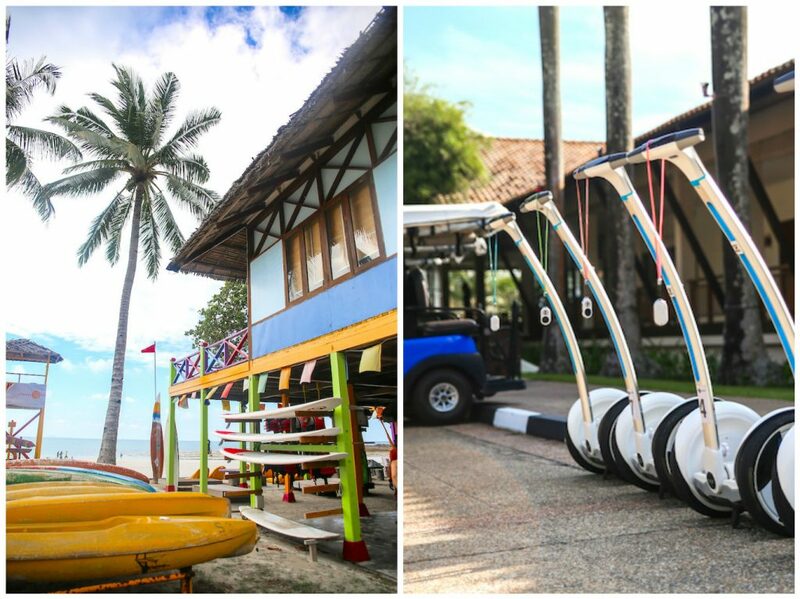 Head to Bintan Resorts for endless fun, laughter and adventure! Parents! If you’ve been cracking your head for ideas on where to bring your family for that next fun-filled holiday, stop right there! How about Bintan? The island is filled with resorts and lots of super fun activities, each more awesome than the last. However, with so many resort options, how do you know which to pick? Don’t worry! We did the homework for you – presenting the Ultimate Guide to Bintan Resorts for the Whole Family. We’ve highlighted the unique attractions at each resort so you can pick one that best suits your family. The best part? Bintan is only a 60-minute ferry ride away from Singapore. Time to start planning that next family vacation! As part of the latest attraction in Bintan, The Canopi at Treasure Bay is the new way to go camping. This is a great solution for both adults and kids alike – some adventure for the little ones without compromising on relaxation and comfort for the adults. Glamping – Glamorous Camping – offers exhilarating activities for the whole family within the compound. Instead of usual hotel rooms, you have safari tent suites which are equipped with the modern spoils of air-conditioning, WIFI, TV, and comfortable 4-poster beds, as well as access to BBQ pits, outdoor jacuzzis, and private gardens. It’s glamping at its best. Tip: Get the Treasure Bay day pass where you can spend a day enjoying activities in the Crystal Lagoon even if you’re not a guest at The Canopi. Ask the resort before you book. The Canopi sits right next to the Crystal Lagoon, Southeast Asia’s largest sea-water body. Opened in June 2015, the 6.3 hectares of crystal clear filtered seawater is ultra swimmer-friendly. Your kids can have so much fun under the sun without you having to worry about things like strong currents, sharp rocks and jellyfish. 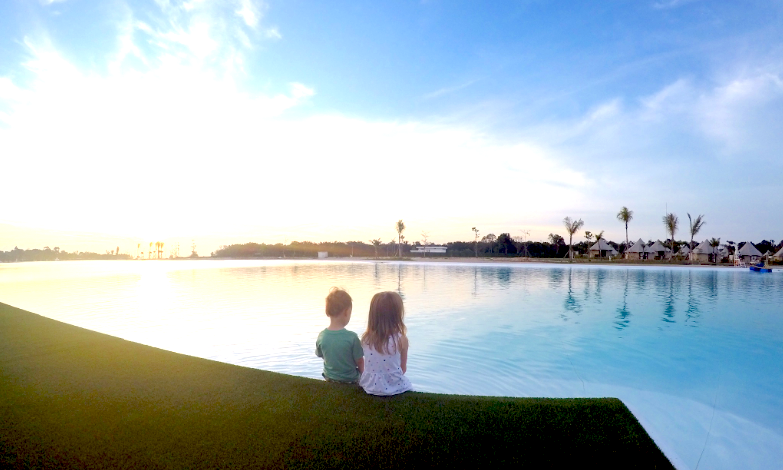 Did we also mention that the sun setting on the tranquil crystal clear waters of the lagoon is a sight to behold? In addition, there is a huge variety of watersports available such as cable ski, wakeboarding, jetovator, canoeing, stand-up paddle boarding and more! For the younger thrill-seekers, don’t worry. The operators are able to cater to each individual accordingly, so you’ll have just as much fun! You can also try out the solar boat ride and water tricycle at the Crystal Lagoon for a relaxing and chill afternoon. Other than water sports, you can also enjoy outdoor excursions such as ATV/UTV tours and mangrove kayak tours. There are many other activities that’s perfect for the whole family ranging from sailing and paddle boarding wrapped by white sandy beaches to spa treatments at the Chill Cove. Tip: There are also mini-sized ATVs available for the young ones who love thrills and want to drive their own vehicles. Nirwana Gardens is popular among families who are looking for an engaging and wholesome holiday. There are many different types of rooms available, ranging from rooms at Nirwana Resort Hotel with garden and pools views, to sea-facing cabana rooms at Nirwana Beach Club, to double-storey Banyu Biru Villas equipped with kitchen facilities, as well as the Indra Maya Pool Villa with its own private pool and courtyard. Facilities at Nirwana Gardens are quite extensive – you’ll never run out of things to do. For adventurous kids and adults alike, why not try out the bungee trampoline? It will get your adrenaline pumping for sure! Alternatively, you can also go for water sports available at The Nirwana Beach Club, ATV trails, and parasailing. The Scuba Dive Centre also offers diving experiences for both beginners and seasoned divers. 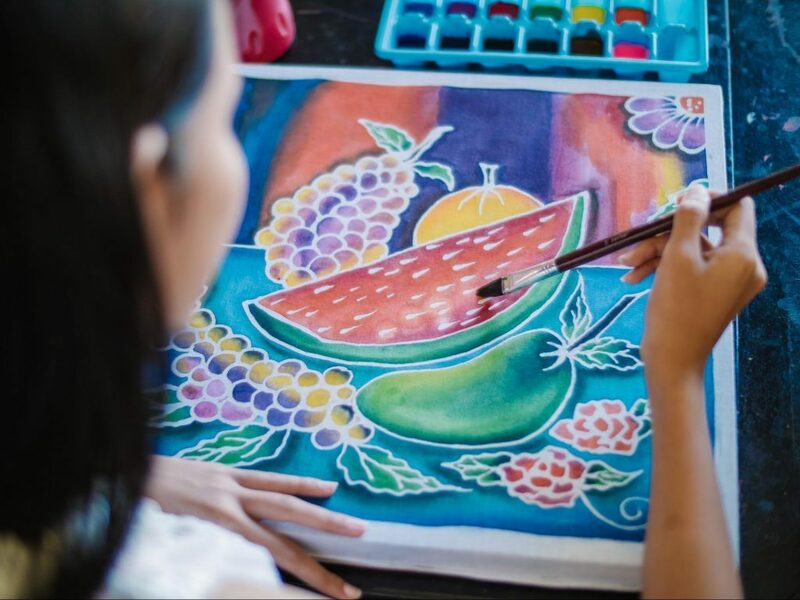 Children also get the option of immersing in cultural and educational experiences such as Batik Painting classes, exploring the Wildlife Mini Zoo, or do balloon crafts and feed fishes at the Nablez Kids’ Club. Parents can feel free to leave your children in safe hands and have a day of relaxation at the spa while your kids indulge in fun and creative activities. When dusk falls, there are plenty of food options guaranteed to delight your stomach. Enjoy a seafood dinner as the sun sets at The Kelong Seafood Restaurant. Alternatively, Spice Restaurant offers traditional Indian and Indonesian dishes and you can enjoy a hearty dinner just steps away from the beach. The Poolside also has “Seafood Grill Fridays” and “Meat and Grill Saturdays” buffet dinners – get ready to feast your heart out! Top it all off with some cocktails/mocktails at the Calypso Floating Bar. Shuttle services are also available within the resort to get you from attractions to dining destinations – how convenient! You can pace your holiday however you like it. You can either jam-pack it with a flurry of activity, or allow for a peaceful respite from the hustle and bustle of the city. It’s really up to you! Largest resort on Bintan with not 1, but 2 golf courses! Bintan Lagoon Resort has 470 rooms and 57 villas, making it the resort with the most number of rooms. Choose from Indonesian-styled rooms and suites to villas, each catered to different needs. Each villa is equipped with a kitchenette, generous living spaces, BBQ areas and even a personal buggy to get around the resort! If you want something more private, you can consider their four-bedroom Angsoka Villa with a swimming pool and private beach front for total relaxation with your family. Villas are wonderful for families who are travelling with large groups, and add a homely touch to those who are vacationing with different generations. In Bintan Lagoon Resort, there’s no shortage of activities you can indulge in. Have a swimming competition with your children, or play Laser Quest within the huge compound. There’s plenty of good hiding spots for good vantage points. Enjoy a day of fun and games under the sun, away from mobile gadgets and the hustle and bustle of everyday life! If you prefer to do something at a more leisurely pace, you can try the painting class, archery or have a Wii or Playstation gaming session! There’s also a selection of sea sports available as well. Those of you who are party animals and looking for an exciting night out, head to Silk Nightclub for a drinking and entertainment experience like no other! With so many dining options at Bintan Lagoon Resort, you’ll be thoroughly spoilt for choice! For families with kids, Nelayan is a popular option that suits young taste buds very well. 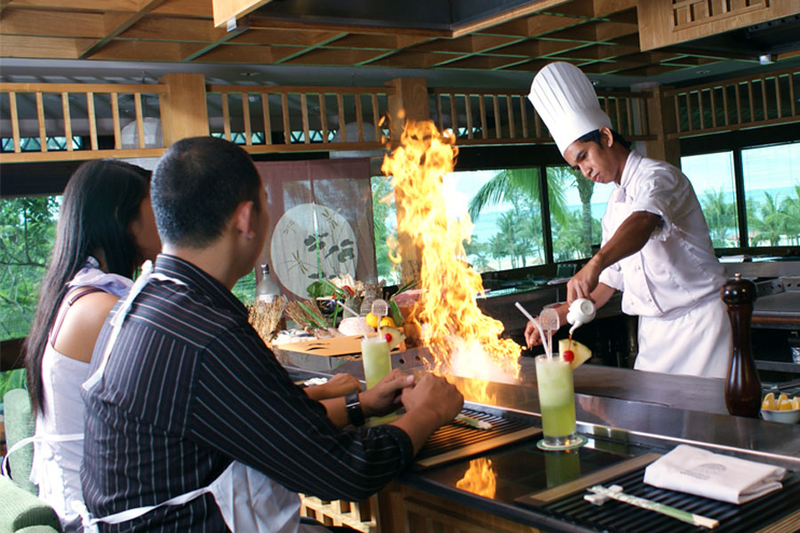 A beachfront bar and restaurant, Nelayan offers a fusion menu of Asian and Western dishes. Enjoy a relaxing and delicious meal and watch as the sun sets and the sky is awash with colours. On the other hand, Miyako offers a medley of Japanese and Korean dishes, from sashimi to tempura or kimchi soup bursting with flavour. They even have a teppanyaki counter as well, where the fragrance of grilled meat and vegetables will certainly leave you asking for more. There’s also a karaoke lounge where you will get to discover the superstar in your family, perfect for post-dinner entertainment! For the parents, if you’re looking to unwind after the kids are tucked into bed, opt for a relaxing and rejuvenating massage right in the comfort of your own room! The Angsana Bintan Resort offers a total of 113 rooms and suites, where some of the rooms have balconies overlooking the South China Sea. The Angsana Suite has its own private sundeck, outdoor jet pools and outdoor showers. For an interesting night activity, choose to go for the Fireflies Night Tour to see mesmerizing fireflies lighting up the night sky! Other than enjoying a relaxing vacation at Angsana Bintan and unwinding at its award-winning resort spa, it is also a perfect opportunity for young children to learn more about giving back and protecting our environment. A special experience at for the whole family would be at the Marine Conservation Lab where you may get to witness turtles being released back into the sea, depending on the season! Angsana Bintan also has various activities that focus on educating the public regarding the sustainability of nature, such as bird-watching, nature walks, tree treks, coral planting, tree planting, soap for hope and many more. Participate in these activities with your family for a meaningful holiday experience! Besides all these activities, there’s also a Kid’s Club, recreational facilities and an 18-hole championship golf course by the Laguna Bintan Golf Club. To top it off, get a soothing massage by the beach with the sound of lapping waves in the background. Angsana Bintan also offers various Destination Dining options which guarantee an extraordinary evening with your loved ones. You can choose to have Dinner on the Rocks, where you will be dining on a dramatic stage of natural rock, complete with a personal chef and waiter to serve you. If not, you can opt for Dinner at 8, where you will enjoy a gourmet feast under the stars as your personal chef and waiter serve you at Laguna Bintan Golf Club’s signature 8th hole. Offering magnificent views of the South China Sea, this is one dining experience you will never forget. A former pirate refuge, Club Med Bintan Island is packed to the brim with activities perfect for the entire family. 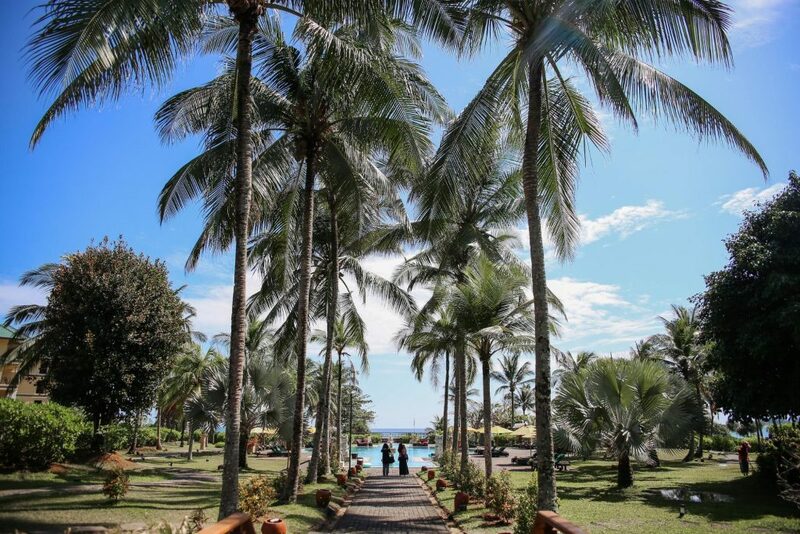 Surrounded by beautiful beaches and picturesque views of the ocean, the resort offers all-inclusive stays with scrumptious buffets featuring unlimited beer, wine and soft drinks. Needless to say, at Club Med, there’s a massive array of sports and recreational activities for kids from 2 years of age and up. The Petit Club Med (2-3 years), Mini Club Med (4-10 years), and the Juniors’ Club (11-17 years). Your kids will be in good hands! 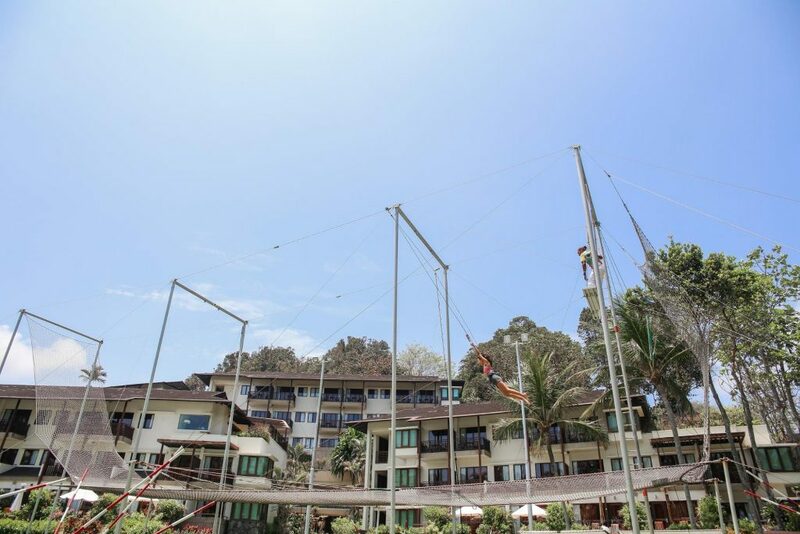 Also, you may have heard of the Flying Trapeze Academy at Club Med, and it’s every bit as exciting as you’ve heard. You’ll be in the safe hands of a qualified instructor, so you can certainly take that leap of faith knowing you’ve got a huge safety net below you. Whether or not you succeed in accomplishing the manoeuvre, it’ll definitely be an experience that you (and your kids) will remember in years to come! If you’re not one to try circus activities, there is also sports tuition for beginners for activities such as yoga, windsurfing, snorkeling, sailing archery and kayaking. Golfers can rejoice as well, as Ria Bintan Golf Club offers an award-winning 36-hole golf course which has greens atop cliffs with panoramic ocean views. With the huge selection of sports and recreational facilities available, you will be spoilt for choice during your stay at the Club Med Bintan. There you have it, now make the most memorable family vacation ever! What are you waiting for? 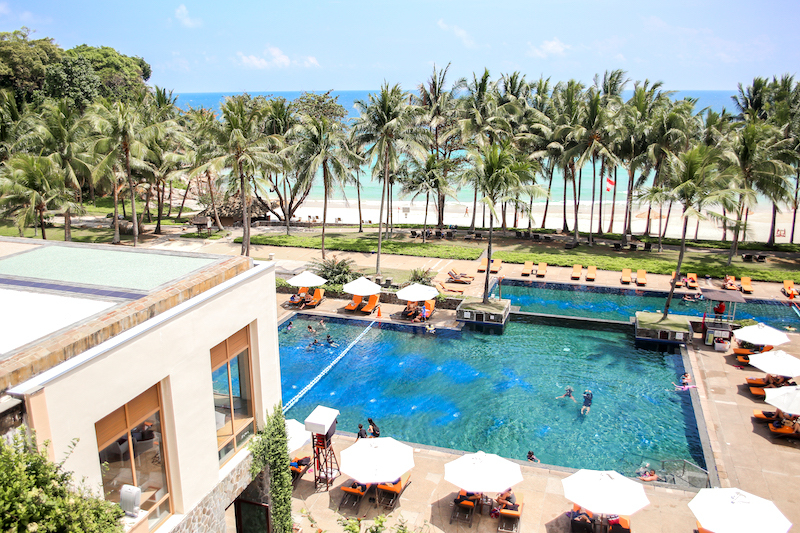 Your ultimate Bintan getaway begins now!